Cars and Coffee always brings out a huge selection of vintage cars, dating from the 1900s all the way to cars that haven't even been released yet (Jaguar CX-75, Lincoln MKR, Hennessey Venom). It's almost guaranteed you won't recognize at least one car every time you go, simply because of the insane variety of cars, most of which are classic, pre-1980s cars. To be frank, I used to find many older cars boring, dirty, and obsolete, and I'm sure some of you can relate. I just didn't find a reason to be interested in something so unrefined with so little power, that smelled like it was leaking oil all the time. However, I began to realize truly how beautiful vintage cars can be. In the present day, cars are crammed with technology to make them safer, easier to operate, and more reliable. On paper, it's a good formula, but it dulls the experience of driving to the point where a computer is steering the wheel for you. 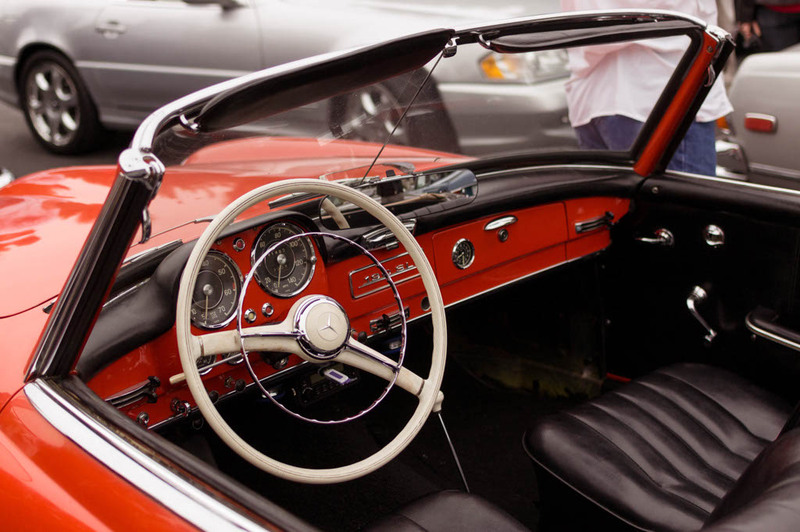 On the other hand, older cars feel much more connected to the driver; no drive-by-wire, no traction control, and sometimes not even power steering! Even driving a 70's Corolla would be a more visceral and raw experience than driving a present day Mustang. The melody of the carburetors, the lack of excessive catalytic converters and sound deadeners, no plastic… you get the idea. There's also the novelty of owning a car from a different era, constantly reminding you of the ideologies and ideas of the past. In a way, it's like a time capsule. 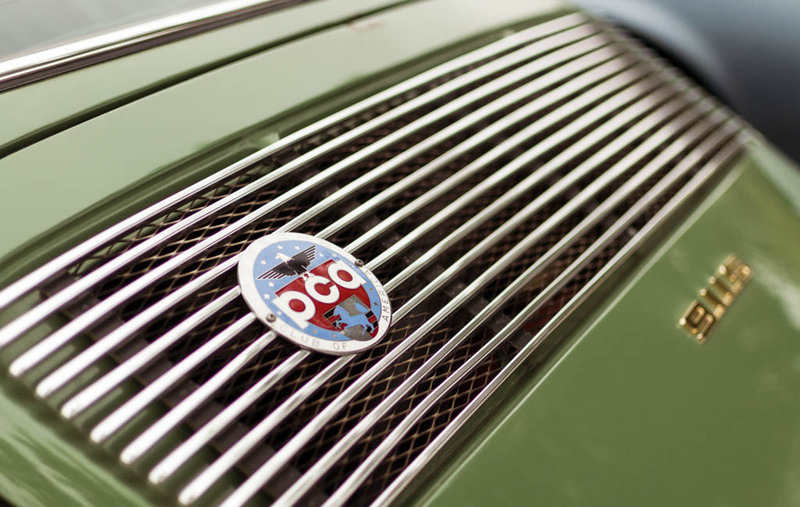 A badass time capsule you get to enjoy driving, that is. That said, I slowly converted to a classic lover after seeing the legendary Mercedes Benz 300SL "Gullwing." 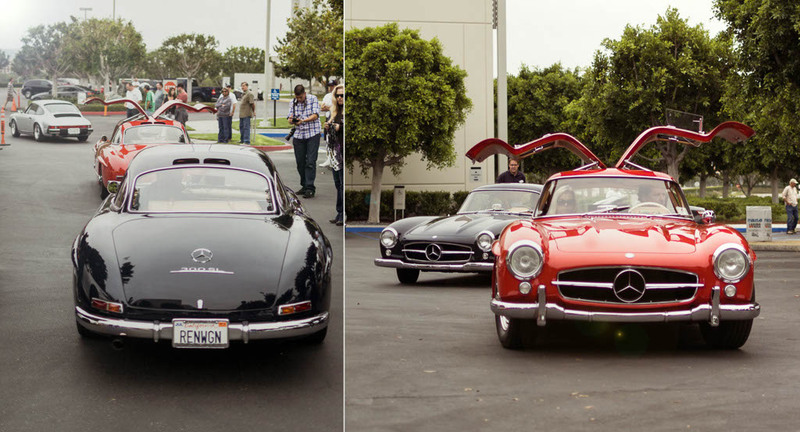 Funny, because this particular Cars and Coffee meet just happened to be packed with Benzes. There must have been at least 4 300SLs there, one of which was parked right next to its modern day recreation, the SLS. This white one caught my eye, and it complemented the curvy form of the SL300 perfectly. 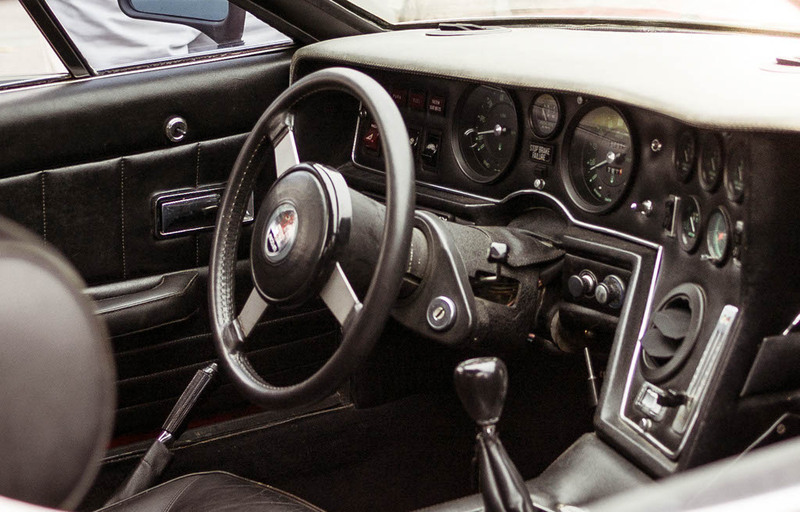 This is what I'm talking about when I say vintage cars offer a fully visceral experience. Even when you're not behind the wheel, there is something about the car that is intrinsically stunning that you can't quite describe with words. 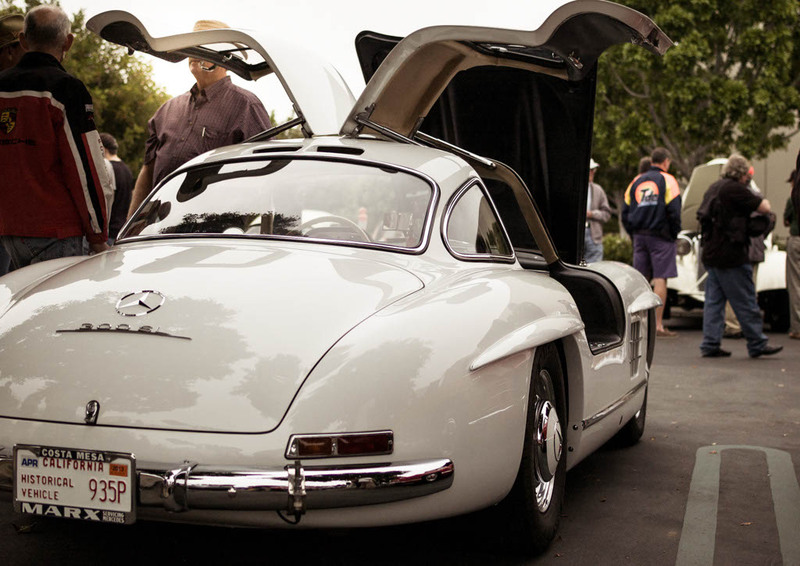 The reason the 300SL was so attractive was really because of its proportions and curves and of course, those unmistakable gullwing doors. At first glance, the car looks like a beautiful showcar, made to merely look great. However, everything on the car is functional; even the doors, which were added for further chassis optimization along the side panels. 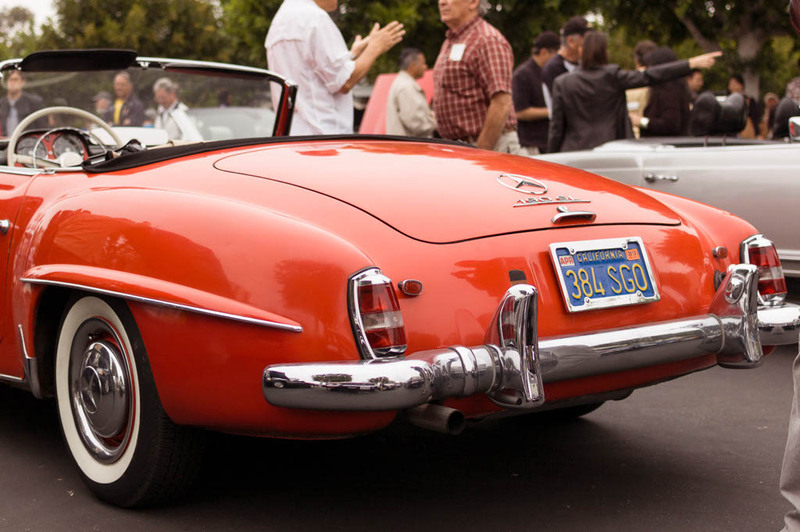 The 300SL was built for racing after all, and it was the fastest production vehicle of its time. There's honestly nothing bad to say about the car, and this Depth of Speed highlight on the 300SL really reinforces that idea. This is the 190SL, the 300SL's younger sister. It looks almost identical to the 300SL, but came with only 104 HP, powered by the SOHC 4 banger and had an entirely different chassis. Considering the car was introduced in 1955, the numbers don't seem too meek after all. However, people didn't buy this car for speed. They bought it for its style and class, the latter being Benz's strongest attribute. Just take a look at the interior. Simple, classy, and elegant. As I was snapping away at the Benzes, I barely caught this flick of a mysterious Ferrari. 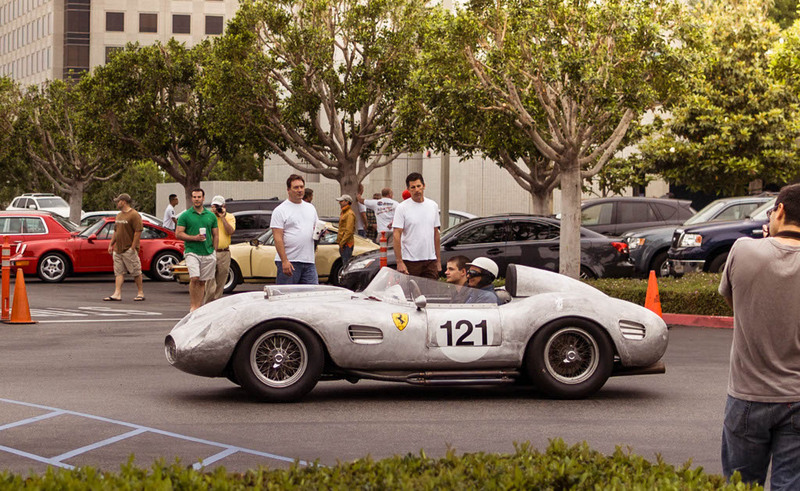 Loving the raw metal look, like the panels were hammered right off the Ferrari factory. Remember when I stated that you will most likely come across at least one car every week that you don't recognize? For me, this is one of them. If anyone can identify this beauty, please feel free to leave a comment! 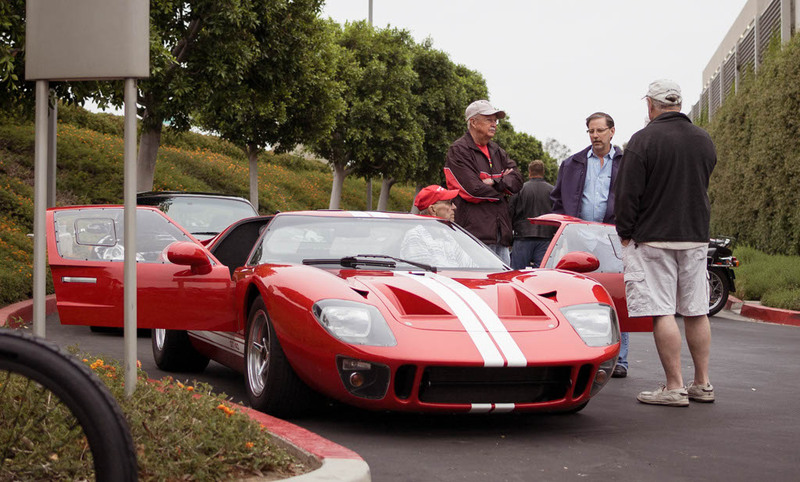 The legendary Le Mans-winning Ford GT40 has aged incredibly well. Very timeless car! 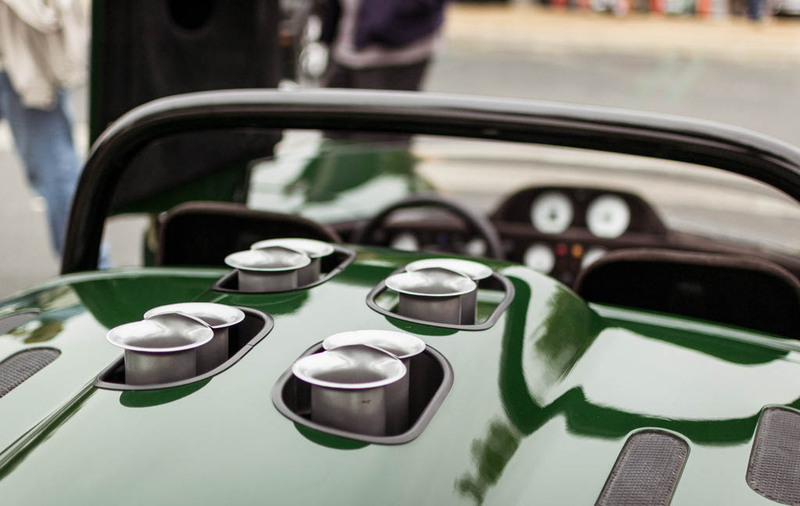 This race-spec British racing green Jaguar XK120 had a cover for the passenger seat and a roll bar. Very cool vintage touches on this vehicle, such as the leather hood straps and the meshed headlight protectors in place of the "x" taped headlights that frequent racetracks today. 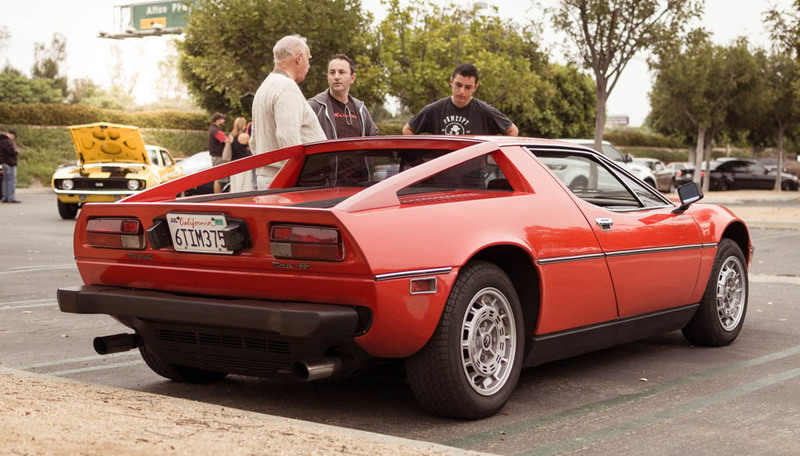 At first I thought this was a Maserati Bora, but it happened to be the junior version of the Bora, called the Merak. The difference lies in the flying buttresses of the Merak and the enclosed hatch of the Bora. I personally prefer the Merak because of its eccentricity. Where else would you see such a feature on such an exotic car?! It almost looks like some sort of ute! Unusual features aside, the proportions are also spot on. 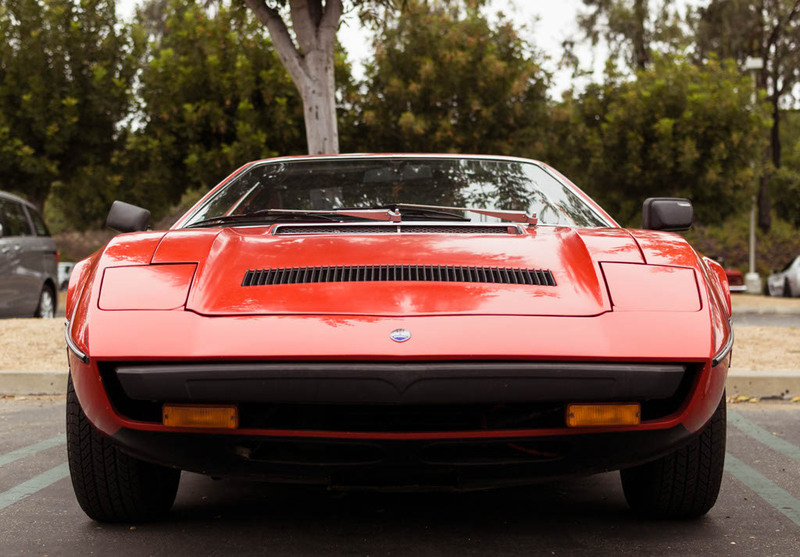 It has that recognizable supercar silhouette, with a very rounded geometric personality, brought to you by the infamous designer Giorgetto Giugiaro. The rest of the car is nearly identical, save for the bumper in the front fascia. Loving those vents on the hood, it really adds an 80's look to the car. It almost looks like it belongs in a sci-fi movie. It had a beautifully laid out interior. 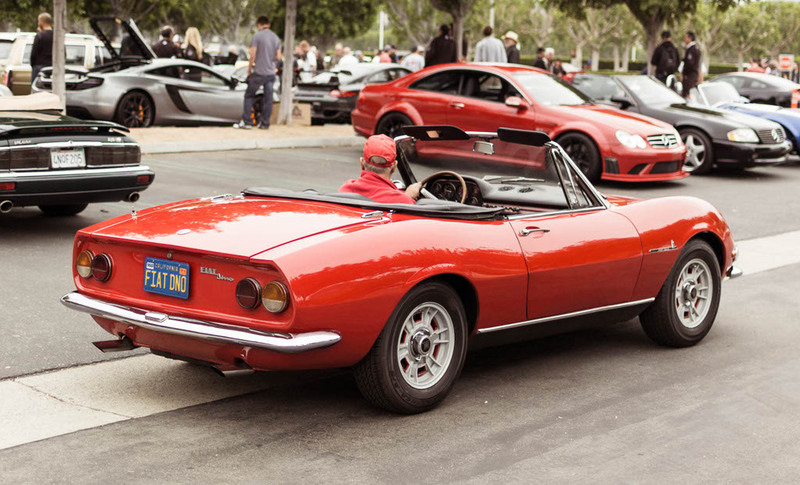 When I turned around, I saw quite an unusual car: the Fiat Dino Spider. 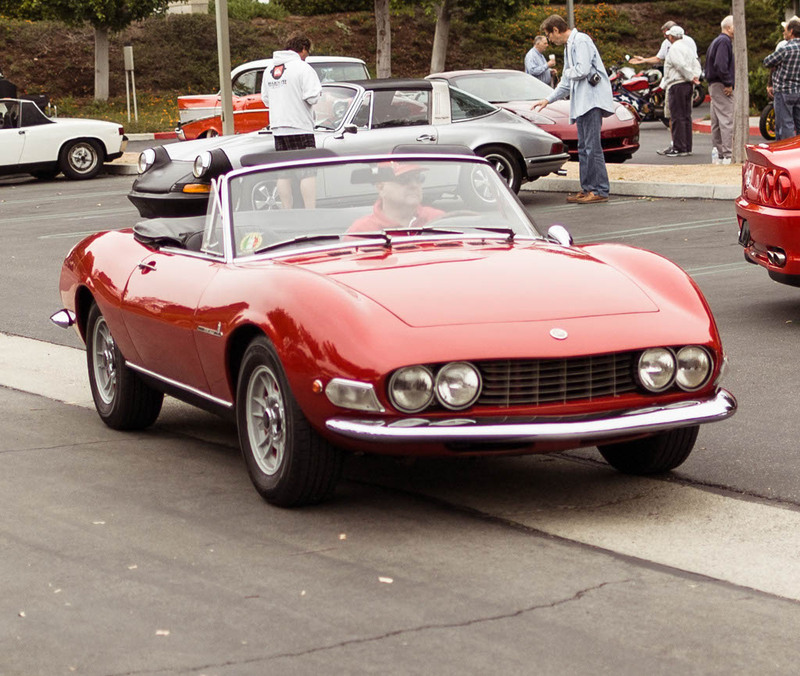 This car has a rather interesting history behind it; the engine was made by Ferrari, the body styled by Italian design powerhouse Pininfarina, and produced by Fiat. It's got soul for sure. 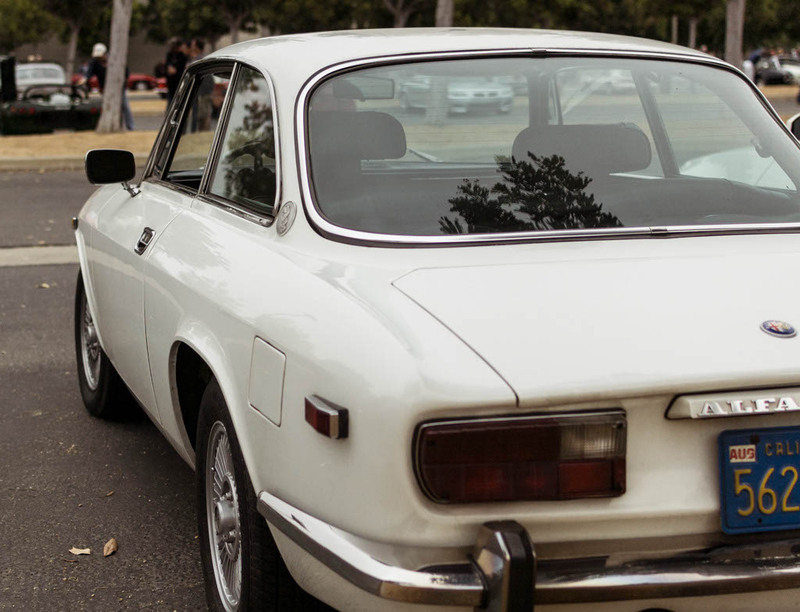 Here's another Italian beauty: the Alfa Romeo GTV. As I stated in the previous Cars and Coffee coverage, I believe this car to be the most beautiful Alfa Romeo ever built. Sometimes less is more. Colin Chapman said it best: "Simplify, then add lightness." Simple and understated lines result in an elegant little car. It's also fairly quick; some people have taken advantage of its nimble, lightweight chassis and swapped newer engines in them. A popular choice is the SR20DE(T), which is a great choice in my book. 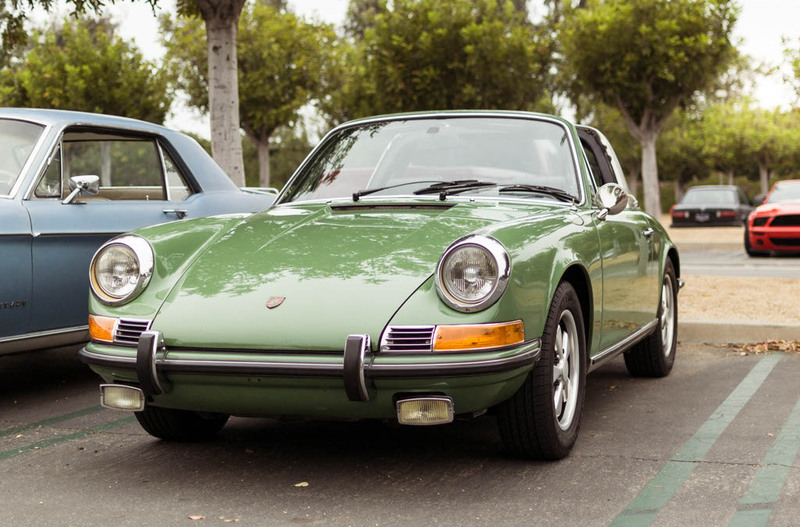 The OG VW Beetle​ Porsche 911S Targa. ​The 911 is a car I have deep respect for. 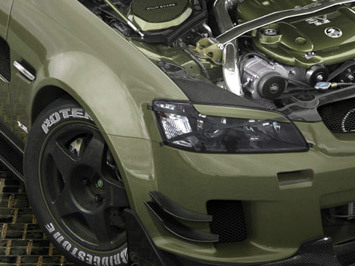 Ever since its birth, it's been criticized endlessly about its "wrong" engine placement, most notably by Mr. Clarkson. It also came with an air cooled flat six engine, which was a bit of an oddity for such a high performance car. 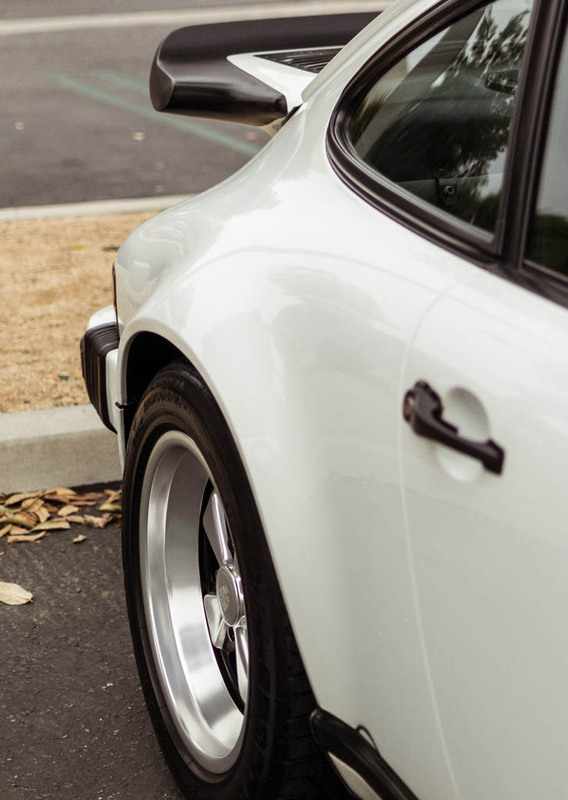 These features however, not only set the car apart from the competition, but won Porsche countless motorsports victories. It had a set of stock Fuch wheels on, complementing the smooth body lines. Reppin' the Porsche Club of America. I spotted a 911SC not too far from the 911S, also sporting some Fuchs. The thing I love about Porsche is its evolution of the 911, making full use of its engine placement, and refining the design and improving performance again and again. To this day, the 911 provides the benchmark for sports cars, and is among one of the best sports (super?) cars for the price. 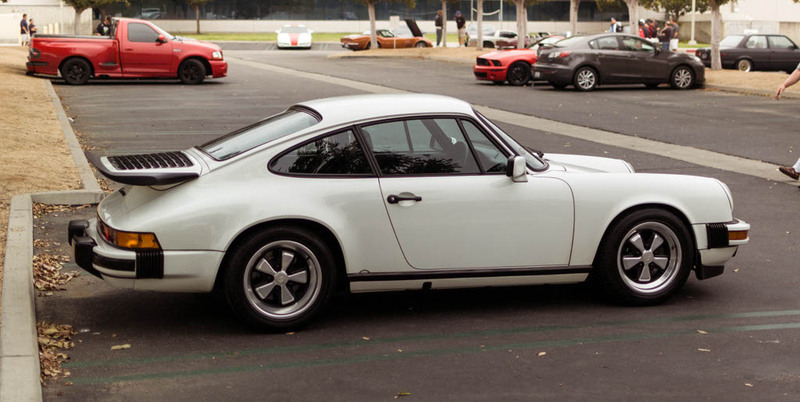 You can clearly see the subtle changes this 911SC has gone through, but it still retains the original trademark shape. The hips are also getting wider, and the spoilers bigger to deal with the extra power the flat six is putting down… Getting ready for the first turbo 911, the 930. Okay, enough classics. 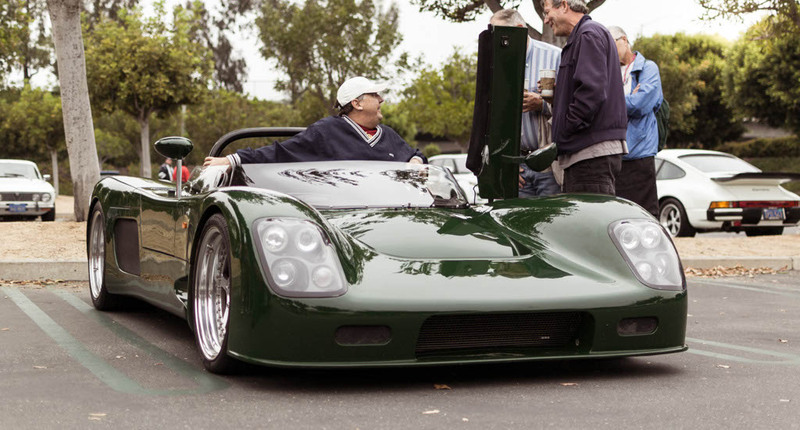 Check out this Factory Five GTM. ​It's a kit car, meaning that it's sold in parts to be assembled by the owner. This means it bypasses most of the safety regulations, making it a lightweight supercar for the fraction of the price. A torquey Corvette engine placed in a nanny free, no-nonsense body gives it that all-American vibe to it. I like it think of it as a mid engined Viper. Another kit car that doesn't entirely look like a kit car: the Ultima Can-Am. A more radical approach to the supercar, looking like a classic Le Mans racer. The exposed velocity stacks were an excellent touch. Who doesn't love a set of individual throttle bodies? 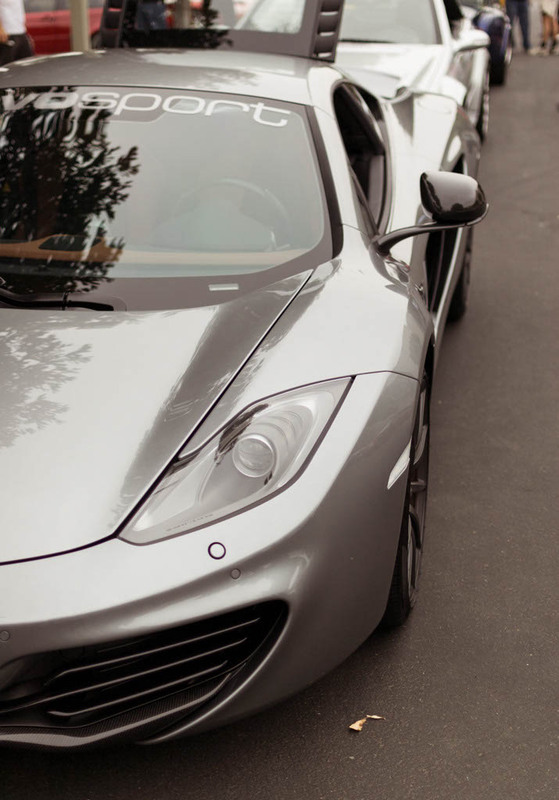 Evosport's McLaren MP4-12C also made an appearance. Just… wow. That presence is phenomenal. 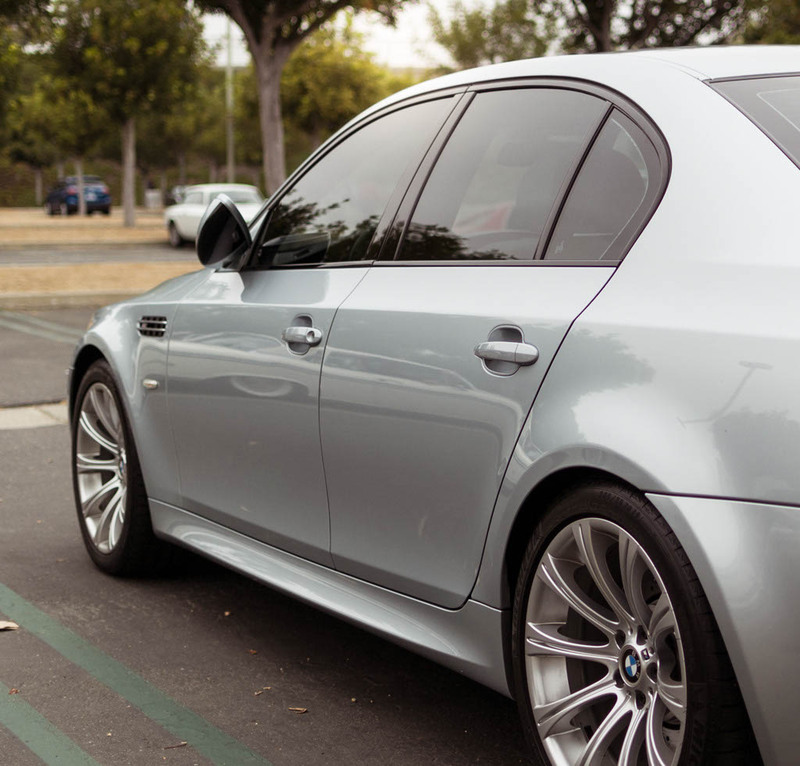 …and it also has the sophistication of a high end luxury car. It's been said that the ride quality is among the best, thanks to its adaptive chassis and suspension in place of solid bars. Sure, there are some downsides to digitalizing the car, but the infinitely adjustable settings make for a convenient and seriously quick ride. 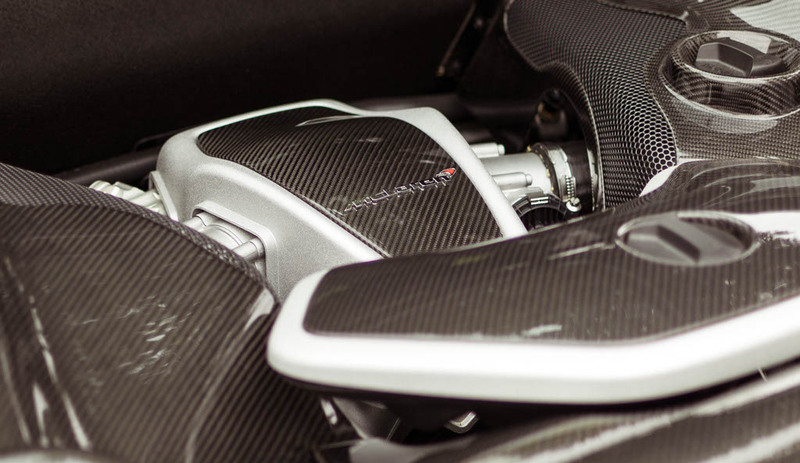 The McLaren's engine bay was beautifully contoured, and decorated with a healthy dose of carbon fiber, McLaren's specialty. It's hard to believe such a car is only $229,000. Truly a car of the future. 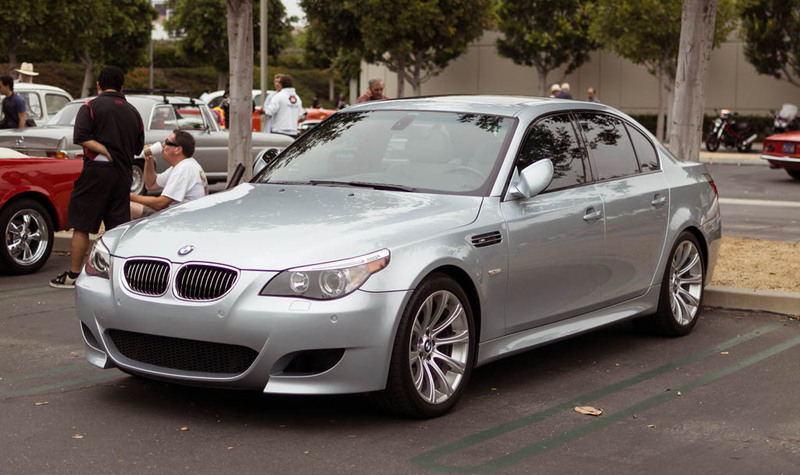 When I heard the scream of this E60 M5 from afar, I pictured a V10 F1 Ferrari. I knew that couldn't be true, so I thought it may have be a modified Carrera GT. Boy, was I in for a surprise. Gotta show some JDM love too! 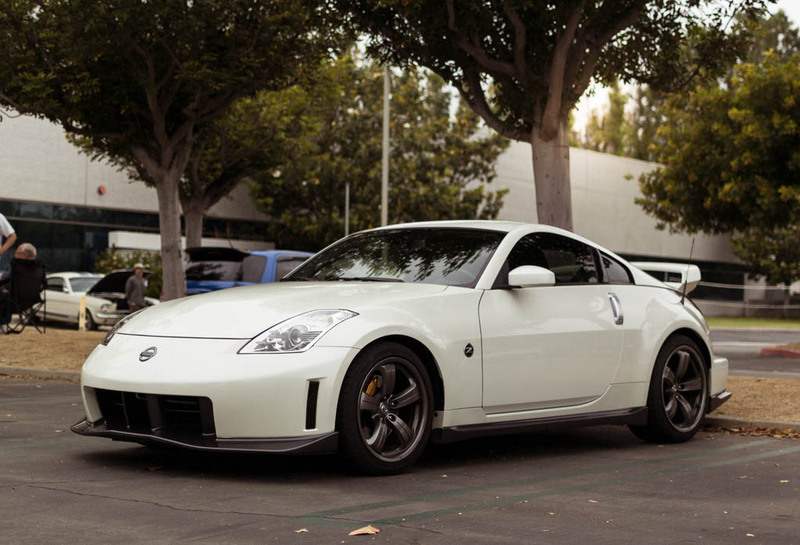 A Nismo 350Z painted in pearl white was looking beautiful sitting there by itself. This is about as perfect as a 350Z can get. Just enough bodywork to convey the aggressive performance, but not enough to the point where it is gaudy. 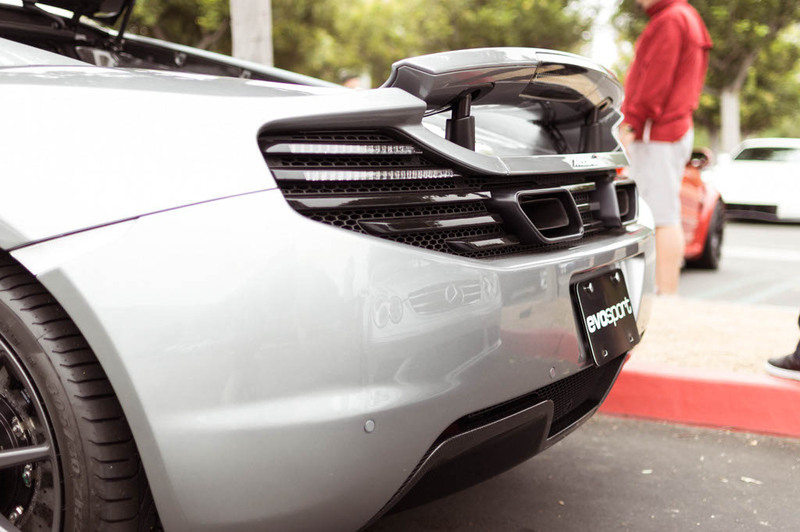 The rectangular bump on the rear bumper for the diffuser is a nice touch. Very reminiscent of JGTC/GT500 racecars. …Until you take a peek in the hood. 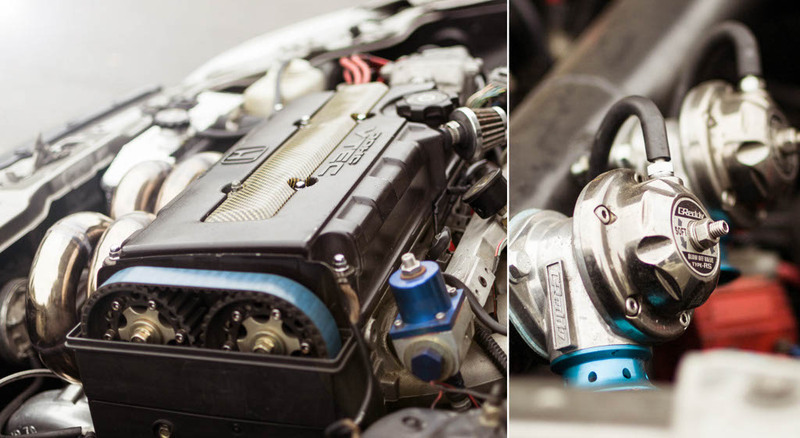 Jesus, look at that turbo manifold! I believe this was a turbo B16 with GReddy blow off valves. I'd imagine it would sound glorious in full throttle. And off throttle, where those BOV's will make a beautiful "PSHHHHH" sound. I'd usually prefer high revving NA builds, but this car has the best of both worlds. 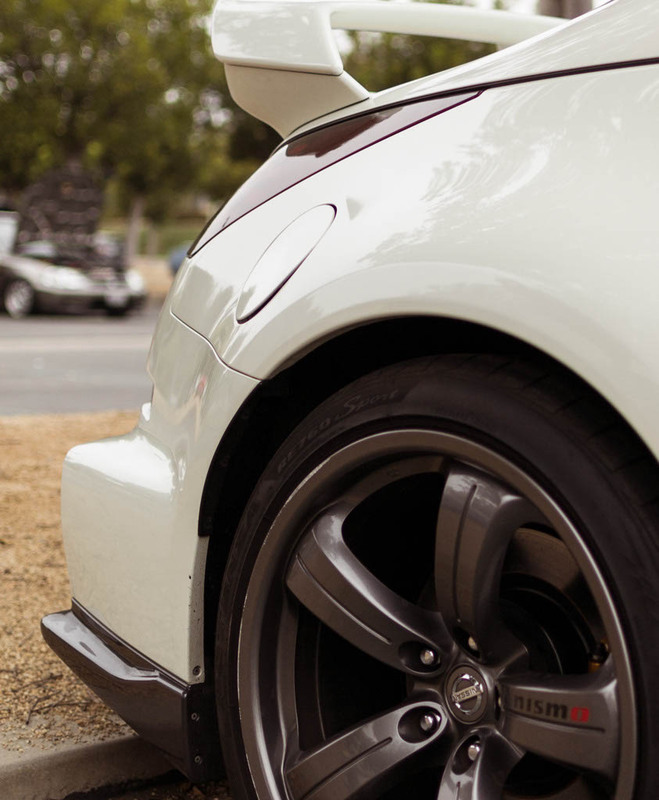 And that concludes our coverage of this week's Cars and Coffee! If you haven't already been to one of these events, we strongly urge you to go check it out at least one Saturday morning. It goes down every week in Irvine!